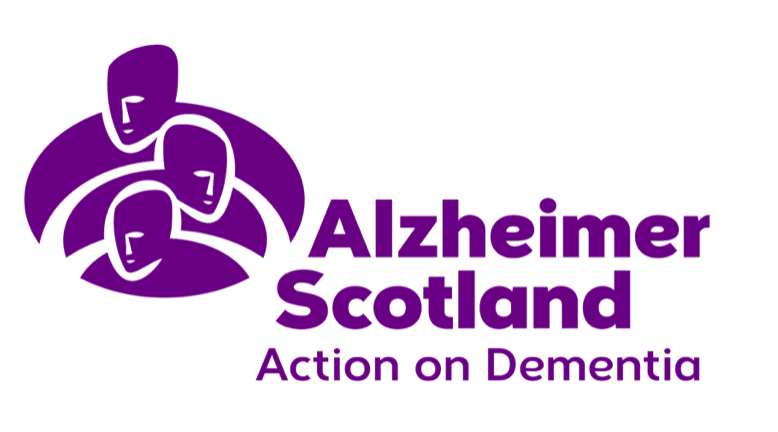 We are delighted to be hosting our Summer Ball on 22 June in aid of our charity partners, Alzheimer Scotland and Macmillan Cancer Support. As you will see there is a wide range of fantastic silent auction items on offer – there really is something for everyone! 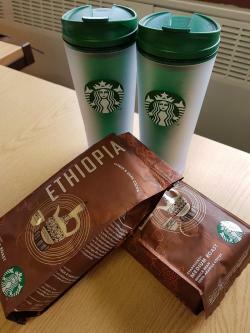 We would like to thank the individuals and organisations who have supported us in compiling these great prizes! 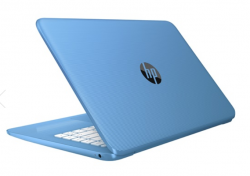 You can bid online on this page right up until 11 a.m. on Thursday 21st June, following which online bids will close. Bidding will then re-open on the evening of 22nd and will be available only at the venue. If you are unable to attend the Ball, but would like to bid on any of these items, please place a proxy (maximum) bid on this page before the deadline, and we can carry on bidding on your behalf during the event until we reach your maximum. You can also register to receive a text alert if you would like to know if your maximum is outbid, which will allow to re-bid by text on the night. If you are still the winning bidder at the end of evening, we will contact you the following week to let you know! Spa Voucher Experience for 2 at the Principal Edinburgh Charlotte Square including full use of leisure facilities and any 25 minute treatment. The new spa is inspired by the spa towns and resorts that rose to popularity in the 19th-century. Treatments use natural, organic ingredients, with products by OSKIA and ishga skincare ranges. OSKIA’s luxurious facial treatments and potent, nutritional formulations are designed to give you a beautifully healthy, glowing complexion. The ishga massage is soothing and was developed on the Isle of Lewis using Scottish seaweed with far-reaching healing properties. Heated relaxation rooms and use of the pool are available along with the usual massages, facials, manicures and beauty treatments. 3 night stay (any day of the week subject to availability) at the 6 bedroom beautiful Guthrie Villa, Birnam , built in 1880. The property can host up to 13 people. 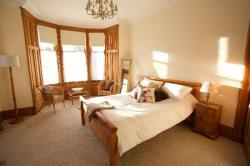 The property enjoys a prime location within this Highland Perthshire village and is set amidst outstanding scenery. This traditional villa boasts many original features such as fireplaces and ornate cornicing. Afternoon tea for 10 in one of Prestonfield’s private dining rooms. Where could be more welcoming to enjoy an indulgently traditional afternoon tea than one of Prestonfield’s stunning historic dining rooms? 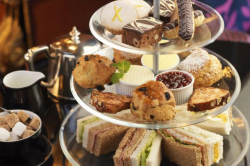 Alongside all of the traditional sandwiches, scones and pastries, you and 9 guests can each enjoy a glass of Champagne and a selection of speciality teas too. If the fireside doesn't tempt, in summer guests can also choose to take tea on the topiary-filled terrace or in Prestonfield's gothic tea pavilion surrounded by hundreds of old-fashioned roses. 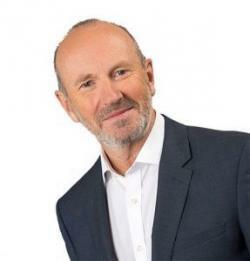 4 tickers to see Fred and John at the Edinburgh Fringe. This auction prize also has the added exclusive benefit that aft the gig Fred will take you and your guests for a drink. Jolanta Bogdan received her MA from the Academy of Fine Arts in Cracow and now lives and paints in Plymouth. 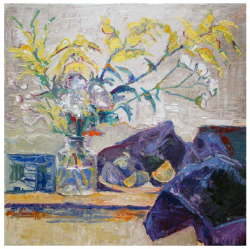 She has participated in exhibitions at Delamore Arts and Open Exhibition in Harbour House and also had two individual exhibitions in Buckfast Abbey and Harbour House in Kingsbridge.Jolanta Bogdan received her MA from the Academy of Fine Arts in Cracow and now lives and paints in Plymouth. She has participated in exhibitions at Delamore Arts and Open Exhibition in Harbour House and also had two individual exhibitions in Buckfast Abbey and Harbour House in Kingsbridge.Jolanta Bogdan received her MA from the Academy of Fine Arts in Cracow and now lives and paints in Plymouth. She has participated in exhibitions at Delamore Arts and Open Exhibition in Harbour House and also had two individual exhibitions in Buckfast Abbey and Harbour House in Kingsbridge. 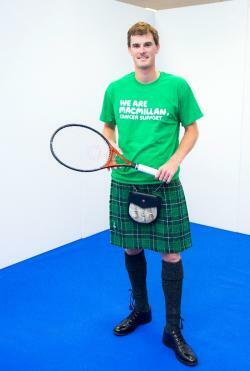 Made to measure Macmillan Kilt by Kinloch Anderson in Leith – as worn by Jamie Murray. 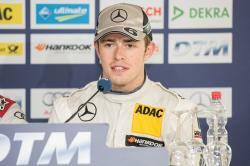 Paul di Resta is a British racing driver from Scotland who drove in Formula One from 2011 to 2013 and became a reserve driver for the Williams F1 team in 2016. Bid for a chance to win a signed pair of his gloves! 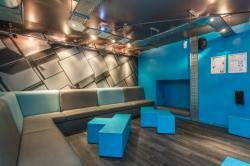 1 hour Karaoke session at Supercube along with a bottle of Prosecco for up to 10 guests. 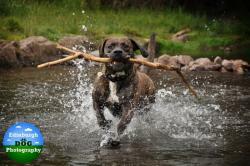 The chance to get magnificent action picture of your pooch with a one hour outdoor photography session with Edinburgh Dog Photography. You will also receive a 10 x 8 print and photobook of your day. 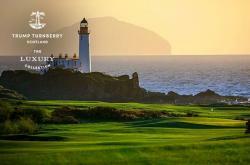 Enjoy a 4 Ball (Monday to Friday) at Turnberry, where four Open Championships have been played. You could join a list of famous faces who have also enjoyed around at Turnberry, including Rod Stewart, Jack Nicholson and Luciano Pavarotti to name but a few. 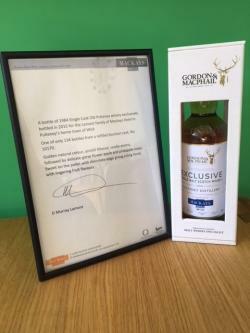 A bottle of 1984 Single Cask Old Pulteney whisky exclusive bottled in 2015 for the Lamont family of Mackays Hotel in Pulteney's home town of Wick. 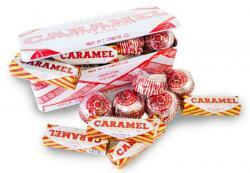 Golden natural colour, unchill filtered, vanilla aroma, followed by delicate gorse flower apple and pineapple notes. Sweet on the pallet with chocolate edge giving a long finish with lingering fruit flavours. Bottle available with certificate authenticity. 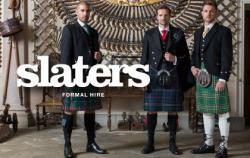 £100 voucher for Slaters menswear and formal hire. 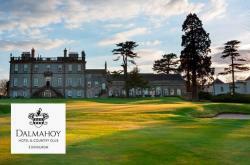 Enjoy a 4 ball on the Championship East Course at Dalmahoy. Could you and your friends be the next Seve Ballesteros, Sam Torrance or Nick Faldo. 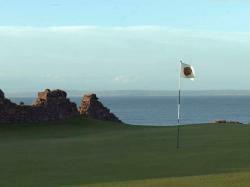 The course offers stunning views, where you can see as far as the Forth Bridges and over to Edinburgh Castle. It really is a unique golf resort, just seven miles from Edinburgh’s city centre. 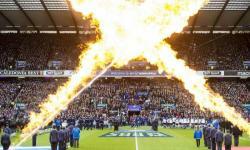 Attend Scotland vs Italy for one of the best games of the year at Murrayfield stadium! 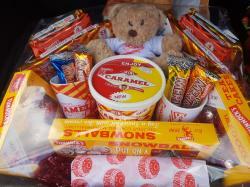 A delicious selection of Tunnock's goodies. 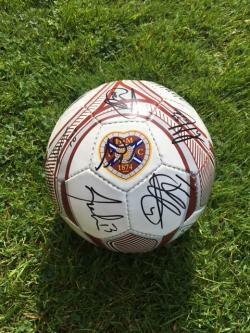 An autographed football, a must for any Hearts fan. Enjoy a 4 ball at The Renaissance Club. Nestled on 300 acres of the famous golfing coastline of the Firth of Forth and a final qualifying venue For The 147th Open Championship. A championship links course overlooking the Moray Firth and well-known landmarks that are synonymous with Inverness and the Black Isle – Kessock Bridge and Chanonry Lighthouse perhaps the most notable. Enjoy a 3 ball at Gleneagels to be played with John Henderson. A winning blend of natural beauty and golfing adventure, the championship golf courses at Gleneagles are regarded among the very best golf courses in the world. The inspiration of two of the greatest names in the game, five times Open winner James Braid and the Golden Bear himself Jack Nicklaus, the courses offer tantalising challenges for all levels of player. 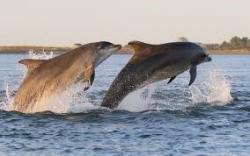 An amazing opportunity to go dolphin spotting in a classic airplane over the Moray Firth. 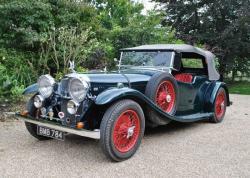 A unique opportunity to have an afternoon being driven in a magnificent 1935 Alvis Car. 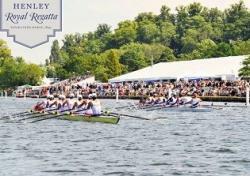 A fantastic and unique opportunity for you and guest to get behind the scenes access at the Henley Regatta. One day pass for two. 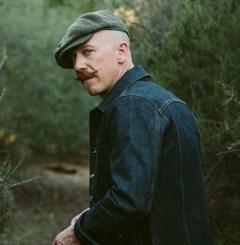 Foy Vance is a wonderfully talented Irish singer and songwriter, and his most recent studio album, The Wild Swan, was recorded on Ed Sheerans record label, and was a huge success on both sides of the Atlantic. He has toured and dueted with Ed, and also supported Sir Elton John, Bonnie Raitt and many other household names. Foy has kindly donated 3 one hour song writing tutorials, which will be via Skype, during which he will guide the successful bidder through the process of turning their ideas into reality, and if you know any budding writers then this is a must, a unique “money can’t buy” opportunity. A thrilling day out and see the beauty of Perthshire like never before. 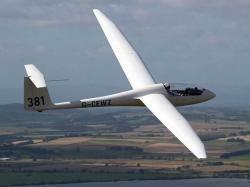 A 20 - 50 min (weather dependant) flight in a modern two seater glider. 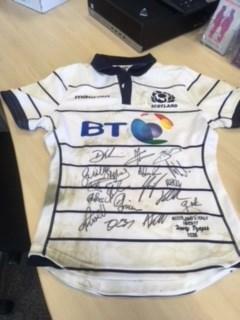 This is the shirt worn by Henry Pyrgos in the 2017 6 nations game v Italy and is signed by a number of the team. 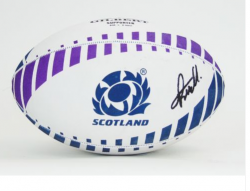 A fantastic and unique prize for any rugby fan. Enjoy a fantastic break at the beautiful 4 star Meldrum House Hotel. Stay overnight in the charming 13th century baronial mansion house and take in a round of golf on the stunning 240 acre estate. Meldrum House is quite simply unique. Nestled in the heart of Aberdeenshire’s tranquil countryside, but just a few short miles from the bustling centre of Aberdeen. 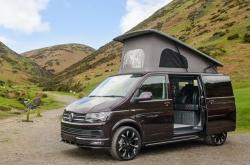 Tour around the beautiful countryside for a week in style and luxury. 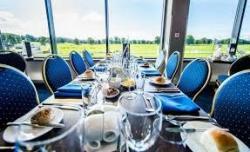 Enjoy a day out at Perth Races with a table for 4 in the Galileo Restaurant. Can be used either this season or next. Located on the top floor of our Nelson Stand, The Galileo Restaurant is the flagship eatery at Perth Racecourse. 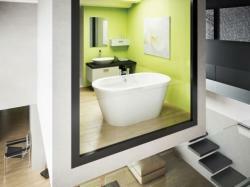 The suite has panoramic views of the racecourse. This creates an electric atmosphere while the races are on and the close proximity means direct access to the grandstand, the betting ring and that all-important finishing line. The food in the Galileo Restaurant is produced with great care and attention by a team of top chefs and wherever possible they source Perthshire and Scottish ingredients to create their mouth-watering menus and afternoon treats. Admission for 2 at a midweek afternoon meeting in 2018. Meeting the Race Manger, having a tour of the Weighing Room, Escorted trip to the Start Line, guided access to the Parade Ring for a race and hospitality in the Dukes Restaurant. A voucher for 6 delicious cupcakes to takeaway at Cuckoo's Bakery Edinburgh. 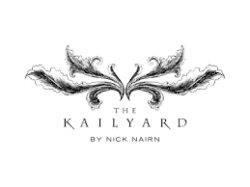 Dinner for 2 in the Kailyard by Nick Nairn Restaurant for two. 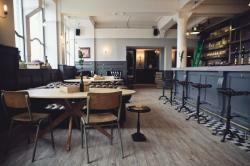 A simply stunning setting combining industrial sophistication with Scottish comforts. Day or night, from business breakfasts to long dinner dates, The Refinery St Andrew Square is your escape from the everyday. Voucher worth £100 to spend on a delicious meal at the beautiful Divino Enoteca, part of the Vittoria Group. With awards for best wine list and best Italian restaurant in Scotland, and boast an impressive assortment of world wines. £50 voucher to spend at any of the restaurants part of the Vittoria Group. Enjoy a delicious 3 course meal for 2, including a bottle of house wine. 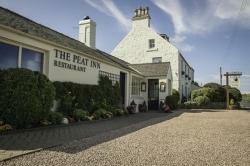 Enjoy a 3 course lunch for two from the Menu Of The Day with coffee and petit fours at the Michelin Stared Peat Inn Restaurant, Nr St Andrews. The Peat Inn has existed on this spot since the mid-1700s. Gradually, the surrounding village grew up around the Inn and took its name from the Inn itself, creating its unusual address: The Peat Inn, Peat Inn. 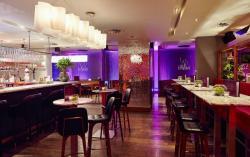 Enjoy a delicious meal in the luxurious Tigerlily Restaurant, George Street, Edinburgh. You and a guest can enjoy a delectable 3 course dinner at the opulent Gill Room. 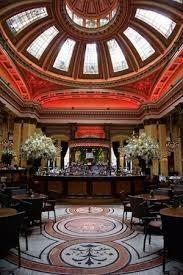 Dine under the majesty of the Dome itself in the magnificent Grill Room. This is a dining experience not to be missed, and is both a chance to relax and enjoy the occasion, indulging in the beautiful surrounds and luxury ambience of the opulent space, together with some delicious food and drink. 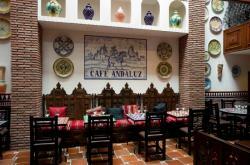 Sunday Lunch with a Spanish twist. Collect a 500ml carton of ice cream or sorbet every month until June next year! Valid at the Musselburgh or Edinburgh Braches. 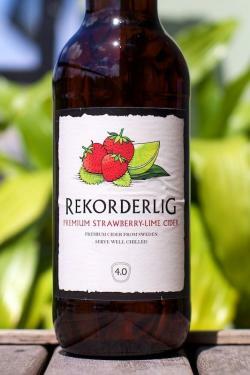 Crisp, fresh and fruity with tropical fruit, lemon and gooseberry. 13% Alc. An excellent easy-drinking, quaffable, fruity white from the Franschhoek Co-operative. Franschhoek Vineyards was founded in 1945 by a group of local grape farmers to vinify their grapes on a co-operative basis. A Mr Kipling-esque blend of red cherries, raspberries, blackcurrants, almonds and hazelnuts. This 100% Tempranillo comes from the La Mancha region, which is located on an arid but fertile elevated plateau (610 m) of central Spain just south of Madrid. You and your guests will be able to indulge and unwind as you are treated to refreshments and non-stop pampering. Enjoy a delicious three course set lunch at Bia Bistrot, Colinton Road, Edinburgh, serving fresh, seasonal, local, sustainable and home made food. Forbes of Kingennie golf course opened in August 2007 and has matured greatly in the following years. The golf course surrounds the resort, fishing ponds and lodges and provides beautiful panoramic views over the Tay estuary towards Fife. Greywalls is an elegant Scottish Edwardian country ouse located just a short drive from the historical delights of Edinburgh, Visit the tranquil surroundings of Greywall and enjoy our options of Afternoon Tea. Select your choice of tea leaves and enjoy savoury finger sandwiches, freshly made scones and selection of sweet delicatessens. Why not enjoy a game of tennis on the private tennis court, croquet on the lawn or a friendly game of putting overlooking the Firth of Forth? All included in this voucher! Welcome to the Spa, Fletcher’s Cottage. It’s one of a kind in Scotland… a haven of rustic luxury where you can deeply unwind and relax. Whether you’re looking for spa breaks in Scotland or a one-off treatment, every element expresses an ethical approach to health and wellbeing. The Rasul Experience includes two hours use of the Spa facilities including salt steam, aroma sauna and relax area along with the traditional cleansing mud Rasul treatment. You and a friend or partner can enjoy this wonderful experience in your own private steam chamber where you exfoliate the skin before applying the smooth detoxifying mud to your body. After the steam treatment, wash off the excess mud, apply some nourishing moisturiser and leave with silky smooth skin. *Rasul lasts approx 30 minutes. Enjoy a pint, a glass of fizz or whatever your tipple, along with something delicious of the Fountains food menus with this £50 voucher. A delicious dinner for two at the Forth Floor Restaurant Edinburgh, including a bottle of Harvey Nichols wine or soft drink, and tea or coffee. 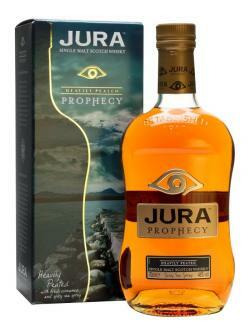 Jura’s heavily peated Prophecy is released in small batches that are drier and smokier than the standard peated Jura whisky, Superstition. Matured in Limousine casks, this is a non-chill filtered whisky with a huge peaty punch! Complexly peated and briny, with strong spicy sea spray. Some people taste peat smoke and fresh cinnamon. A fantastic depth of aromas and long lasting flavour. Enjoy a half day of off road driving experience for two, taken at any of the UK venues of Land Rover. DRIVE THE LATEST LAND ROVER MODELS OVER ROUGH TERRAIN, STEEP INCLINES AND DEEP RUTTED TRACKS. Land Rover Experience Scotland is your exclusive opportunity to be immersed in the all-terrain capability of Land Rover. Whether you attend a one-hour off-road introduction or a full day adventure, you are guaranteed to leave feeling a real sense of achievement. Every experience is hosted by one of our world class instructors all of whom benefit from a wealth of knowledge and expertise to help you make the most out of your experience. In the heart of the Highlands lies an epic behind-the-wheel adventure, from nursery tracks through lush woodland to the grouse moors of Perthshire. Challenge yourself behind the wheel on Yorkshire’s famously rugged landscape, from grassy hills to rock crawls and water crossings: all with breathtaking views. See the Discovery Sport and Evoque come to life on a state-of-the-art Manufacturing Tour, before testing your skills on the purpose built off-road tracks. Explore 500 acres of rolling Cheshire Plains, and cross the haunted bridge of Peckforton Castle to off-road in the medieval quarry that fortified its walls. Perfect your skills in the magnificent Welland Valley. 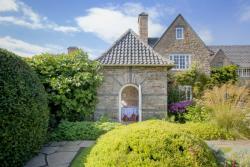 On 300 acres surrounding Rockingham Castle, tackle woodland trails, streams, “elephant footprints” and sandstone quarry. Explore historic Lode Lane, home of Land Rover Manufacturing since 1948, and take on the infamous Jungle Track, Land Track and Adventure Zone. Night-time drives, glorious mud and 5000 acres of Malvern Hill track await in the grounds of Eastnor Castle: a quintessentially English adventure. From Wessington Farm – a Victorian dairy built in 1897 – explore 35 off-road acres of natural woodland in the outstanding East Devon countryside. In the picturesque Luton Hoo country estate, explore obstacle-filled tracks, built within a hidden valley for dramatic amphitheatre effect.